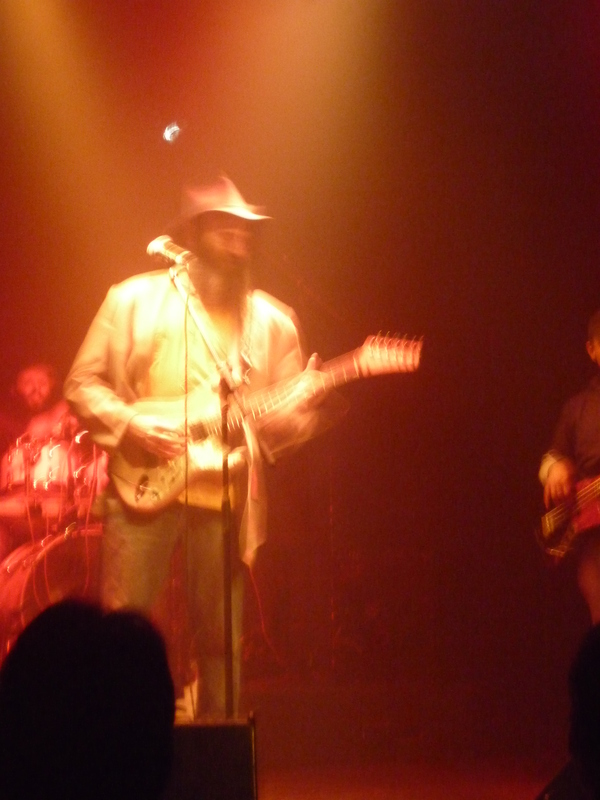 On Thursday night I went with 4 friends to see the Elieizer ‘Lazer’ Lloyd and his band. Poster near my house. In fact most corners of main roads here in Jerusalem have these neon coloured flyposters with adverts for local entertainment. 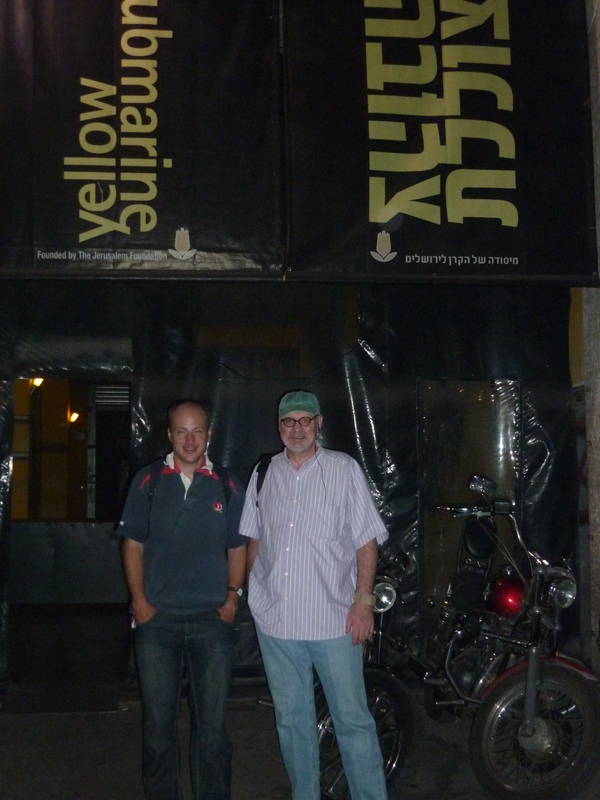 Me and Christopher my work colleague outside the Yellow Submarine. This is an oddly located venue, its behind a shopping mall in a converted industrial unit next to some factories and car garages. The hallway of the venue has some drawings of the Beatles’ album. 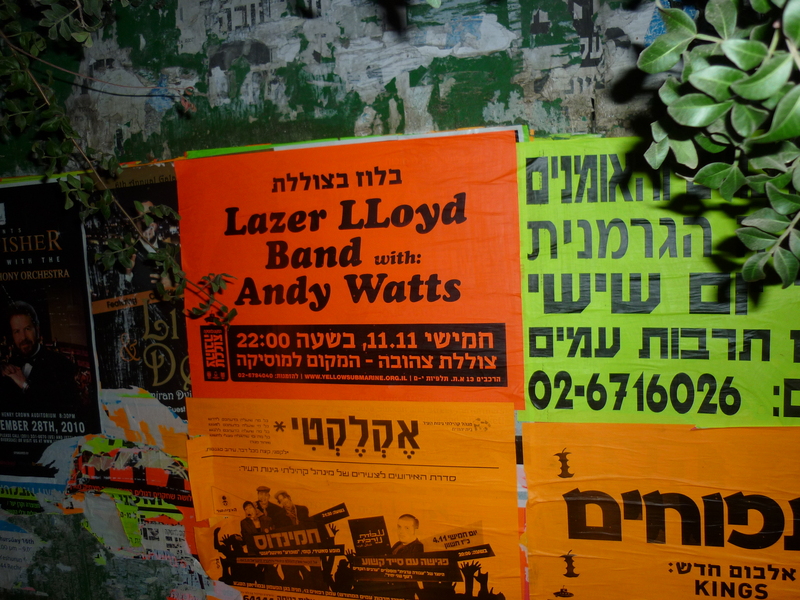 Lazer Lloyd is an American Orthodox Jew who made Aliyah sometime ago, and plays gigs all over Israel. 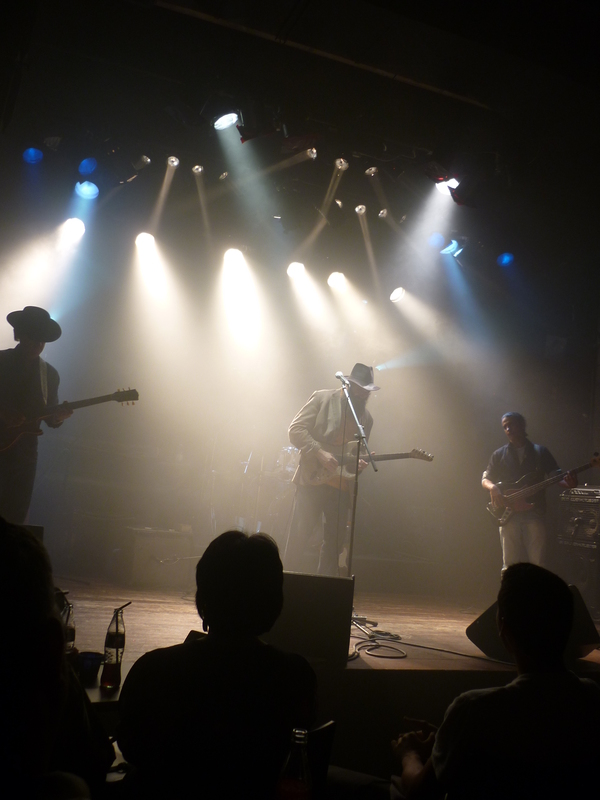 His style of blues guitar is a mixture of Jimi Hendrix and Eric Clapton. 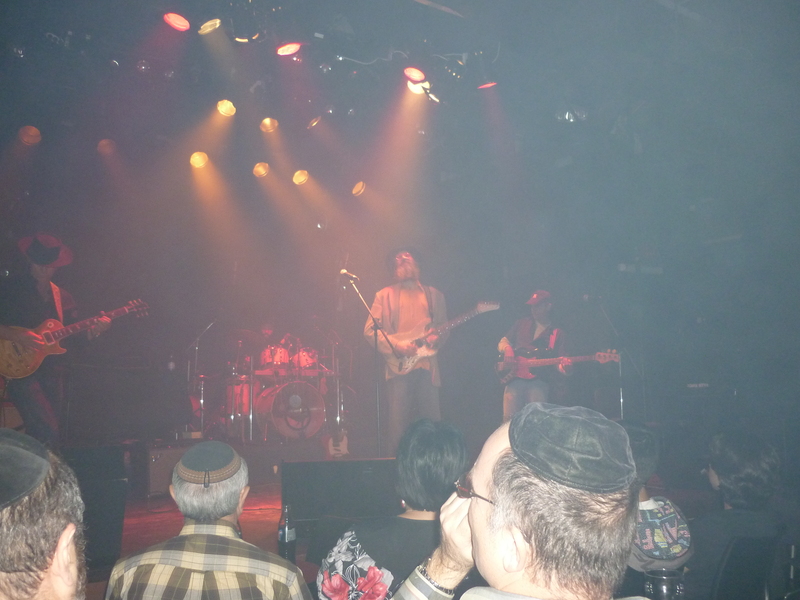 Lazer’s drummer Moshe, who is also an Orthodox religious Jew, likes play a pretend invisible trumpet sometimes. The other guitarist Andy who is not Orthodox looks very much like Stevie Ray Vaughan, I didn’t catch the bassist’s name, but he also very good. As a live music fan and this was a great night out.